New legislation will change how we commute, how we shop, how we vote and how we treat criminal defendants. 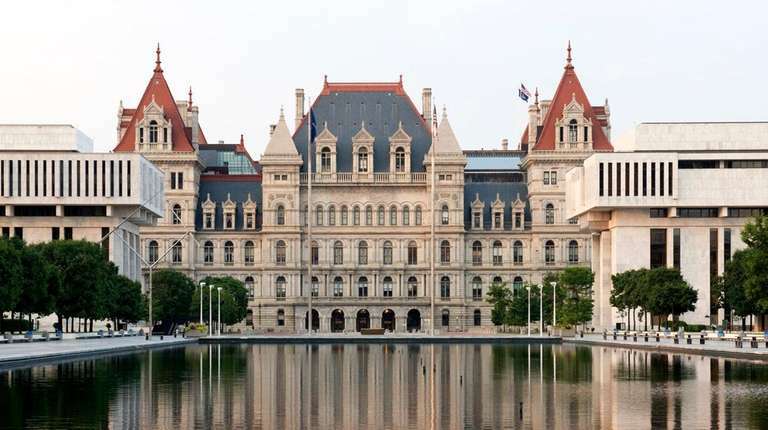 New York voters put every elective body of state government in the hands of the Democratic Party in November, including the traditionally Republican Senate. Now, after a bumpy run-up and a few missteps, the state has a new $175.6 billion budget that is transformative in several important aspects of our lives. It will change how we commute, how we shop, how we vote and how we treat criminal defendants. Fees to drive in Manhattan below 61st Street and a tax on high-dollar real estate purchases will fund improvements to the city’s public transportation. Criminal justice reforms will improve access to evidence for defendants, speed up trials and mostly eliminate the need to post bail for 90 percent of those charged with misdemeanors and nonviolent felonies, which disproportionately kept young men of color behind bars until their cases were resolved. Lawmakers, however, refused to allow any consideration of public safety in determining who is held until trial. Disappointingly, that retains cash bail under the questionable standard of flight risk, for many felonies. Single-use plastic bags will be banned statewide. New York City can decide whether to allow stores to charge 5 cents for a paper bag, with the money deposited into a fund for environmental protection. Reusable totes will be provided for those on public assistance. City schools will get $350 million more in school aid, a hike of about 3.4 percent, a rate of increase on the lower end of what we’ve seen in the past decade, due to concerns about an economic slowdown. The budget came after passage of a flurry of bills earlier in the session that had been stymied for years; they strengthen gun safety, secure abortion rights, improve voter access and expand the years in which a victim of childhood sexual abuse can sue. Plenty did not get done, including legalizing sports betting, which the state should, and legalizing recreational marijuana, for which the legislative slowdown makes sense. And Senate Democrats did not entirely prove they know how to play at a higher level. Cuomo was at his calculating best, and Assembly Speaker Carl Heastie showed a veteran’s panache, while Senate Majority Leader Andrea Stewart-Cousins hasn’t mastered a very liberal caucus that doesn’t understand that retaining power requires it to accommodate more moderate political views.